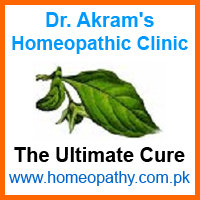 A remedy for agalactia and lithiasis. Profuse discharge from mucous surfaces. Enuresis and urticaria. Spleen affections. Antidotes ill-effects of eating shellfish. Symptoms return at the same time every year. Gout and uric acid diathesis. Favors elimination. Rheumatism associated with urticaria-like eruptions. Neuritis. Vertigo, headache with spleen pains. Diarrhea chronic disease of large intestine characterized by large secretion of mucus. Itching of scrotum, keeps him awake; scrotum swollen. Diminished secretion of milk. Uterine hemorrhage. Acid and excoriating leucorrhea. Pruritus vulve, with stinging, itching, and edema. Arrests flow of milk after weaning. Excessive swelling of breasts. Pain in acute gout deltoid; pain in ankles, wrists. Itching blotches. Urticaria, burning heat, with formication; violent itching. Consequences of suppressed nettlerash. Rheumatism alternates with nettle-rash. Burn confined to skin. Urticaria nodosa (Bov). Erythema, with burning and stinging. Burns and scalds. Chicken-pox (Dulc). Angioneurotic edema. Herpes labialis with sensation of heat and itching. Itching and stinging of scrotum. General heat in bed with soreness over abdomen. Fever of gout. Tropical fever. Worse, from snow-air; water, cool moist air, touch. Compare: Medusa; Nat mur; Lac can; Ricin (diminished mammary secretion); Bombyx; Rhus; Apis; Chloral; Astac; Puls (urticaria); Boletus luridus and Anacard (urticaria tuberosa); Lycop and Hedeoma (uric acid conditions); Formica.